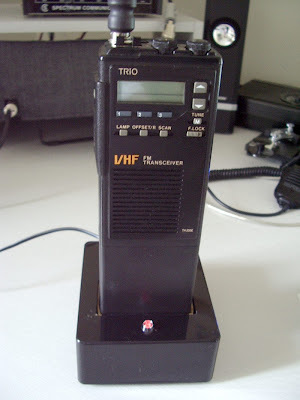 The TH-205E transceiver was finally restored to full working order yesterday. After some thought I finally decided how to fit the 3A diode that was somewhat larger than the recommended part which was unobtainable. I extended the left-over wires from the old fuse using thin wire taken from the leads of a small capacitor. I then shortened to a few millimetres and tinned the leads of the new diode. I wound the thin wires on to the stub leads of the diode and then soldered them whilst using tweezers as a heat sink on the thin wire to prevent the other end coming unsoldered. The radio now works off its new battery. It made its first QSO with Derek G1GDB via the GB3LA repeater, and received complimentary reports on the audio. I even took it along to the Workington Radio Club meeting in case there was a "largest 2m hand-held" competition! 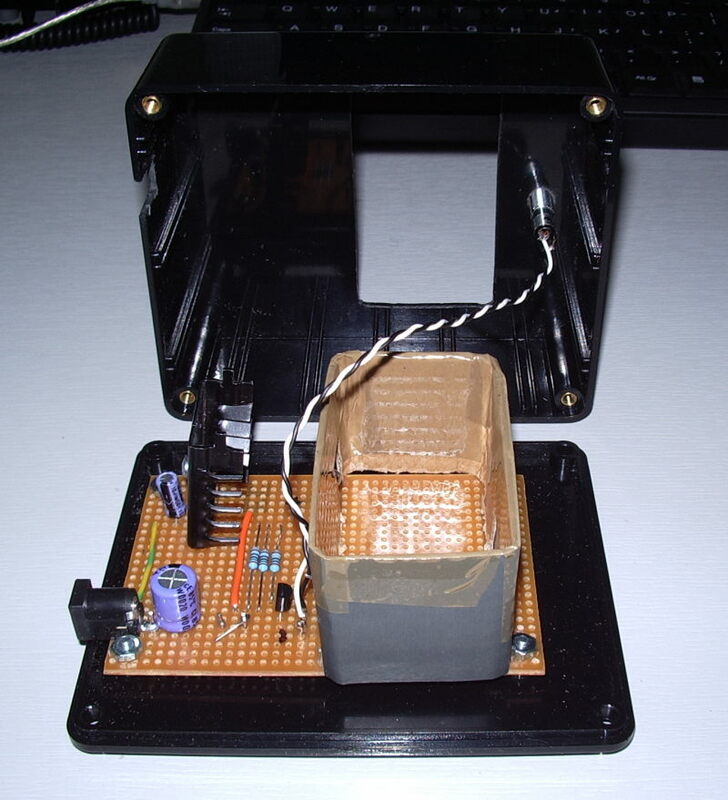 I also finished up the drop-in battery charger which I built using this circuit using an LM317T voltage regulator. It is simple to make and has an LED to show that it is charging. The hardest part was cutting the rectangular hole in the plastic project box. It's best not to look too closely or you can see that the edges are not perfectly straight. This picture shows an internal view of the charger. It doesn't show the contacts for the charging tabs on the battery which were made from a paperclip. The sleeve that holds the radio or battery in position was cut from the cardboard box that my UNI-T Oscilloscope Digital Multimeter came in, and is super-glued to Veropins to hold it in place. Hopefully the heat sink for the LM317T will be adequate - the battery hasn't lost the charge I gave it using the shack power supply so I haven't yet had the chance to test it for a full 15 hours. Lately I have been finding myself on the Internet each morning, first checking with my bank to see if my $5.00 is still there, then to your blog. Since I'm still trying to figure out what gear I want to get back on the air, I find that your blog helps me participate "on the air" through you. Thanks.